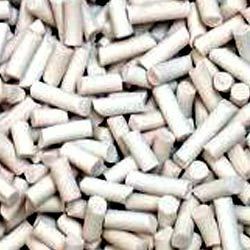 Prominent & Leading Exporter from Vadodara, we offer high adsorption molecular sieves. We are engaged in offering our customers Molecular Sieves, which are known for their high adsorption capacity, mechanical strength and very low attrition loss. These are widely used in a number of applications for purification of air in PSA and cryogenic plants. Along with being suitable for applications that require stringent moisture and CO2 removal as well as for removal of larger molecules like mercaptans from gaseous streams. The Molecular Sieves are also used for removal of H2S from gaseous streams, sweetening of Natural Gas, Process air drying of dew point less than (-) 60 Deg.C for sulphonation plants. Surface Area: 345 to 415 M2/Gm. Pore Volume: 0.40 to 0.50 CC/Gm. Adsorption Capacity (at 75 % RH) : 23-27 %. Attrition Loss: 0.02 -0.2 %.